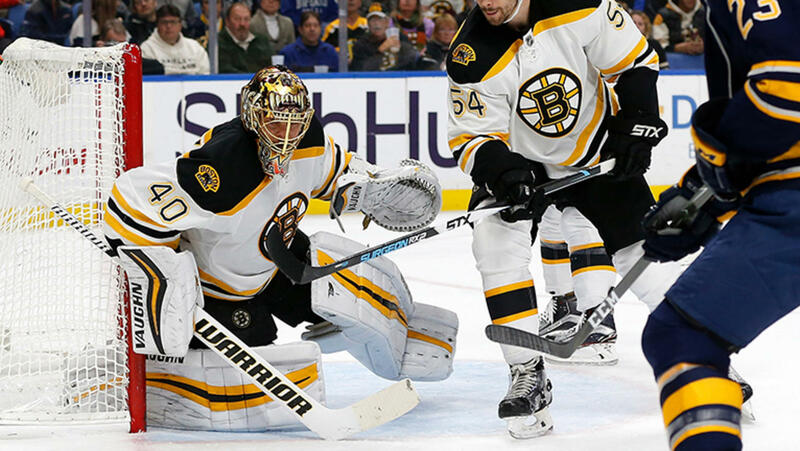 On Thursday, the Bruins were able to get their first win of the season that didn’t feature Tuukka Rask in net, outlasting the Carolina Hurricanes 2-1 at TD Garden. Anton Khudobin notched his first win of the season as the B’s came out on top in their second shootout in as many games. In Tuukka’s return on Friday, he showed us why the Bruins have relied on him so much already this year. He was remarkable, stopping a season-high 35 shots on his way to leading Boston to a 2-1 win over the Sabres in Buffalo. This is just the latest of a string of great starts for Rask who now owns a record of 13-4-1 on the season. Heading into Saturday, he had an unbelievable .939 save percentage. The Bruins took a 1-0 lead in the first period on David Krejci’s fourth goal of the season. That score would stand until 12:16 remaining in the third, when Patrice Bergeron also buried his fourth of the year, extending the lead to 2-0. The only goal that Rask allowed came off the stick of Evander Kane less than two minutes after Bergy padded the lead. The end result was a 2-1 Bruins victory. The B’s found themselves at .500 have now won four games in a row to improve to 14-10-1 on the season. They’ve jumped up to third in the Atlantic Division behind the first place Canadiens (16-6-2) and second place Senators (15-8-2). Their next game is against the Florida Panthers (12-11-2) on Monday at the Garden. Puck drops at 7 pm ET.